Maximum 25 Characters per watch. 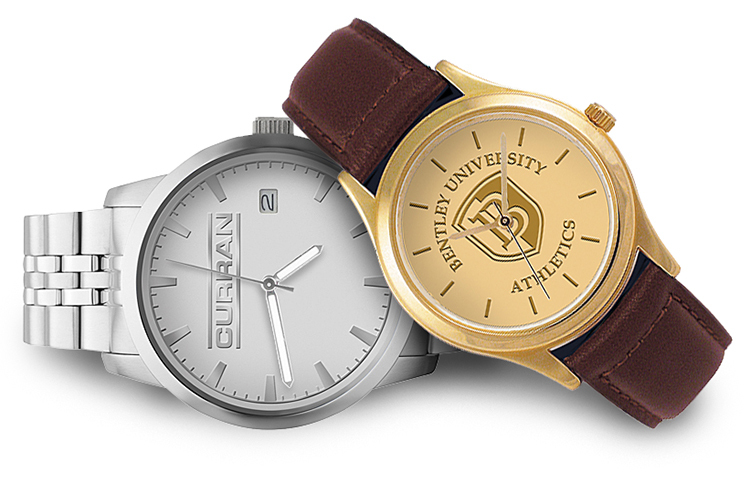 Minimum order of 3 watches required. Please add 5-10 business days to your delivery time. Other packaging options are available for some collections. 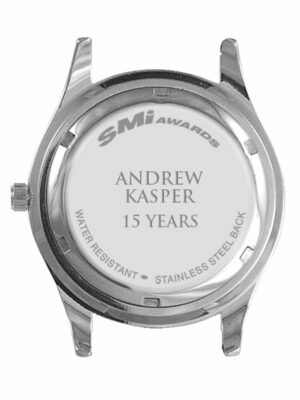 Click the Packaging Upgrade Option on individual watch pages. 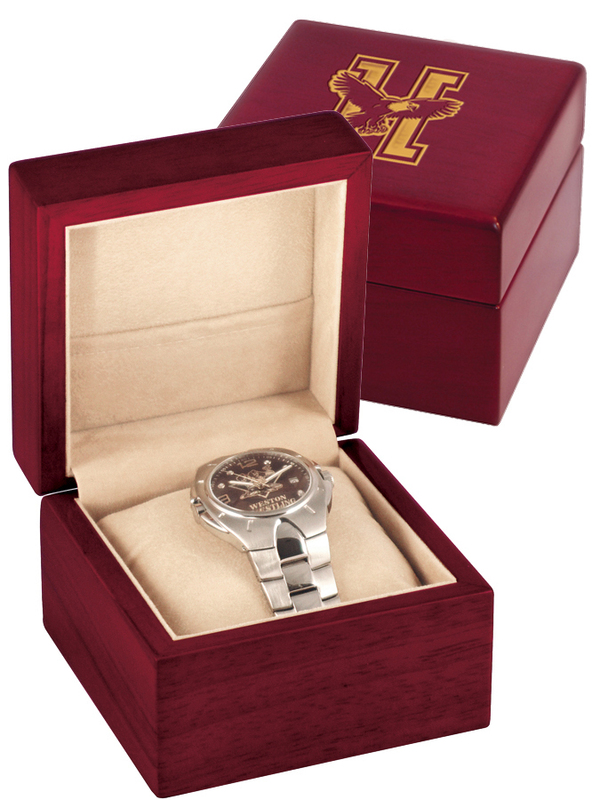 Includes the logo watch of your choice plus laser engraved money clip, key ring and pen packaged in leatherette wrapped or solid oak gift box. 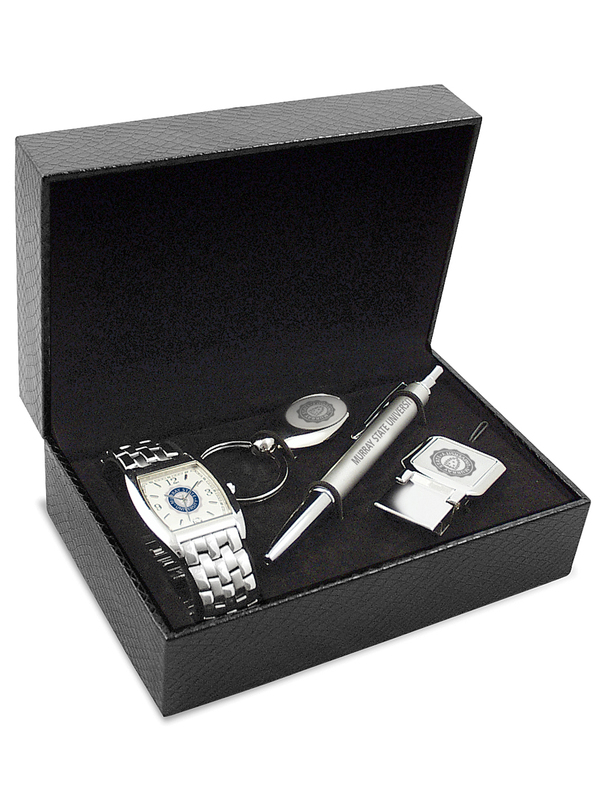 Includes laser engraved Key Ring, Money Clip and Pen, handsomely packaged in a hinged tin or elegant solid oak gift box. Minimum of 25 pcs. required, but you may combine gift set items to reach minimum. Each item comes individually packaged in a black gift pouch. See below for images.